Joanna Hope Jacquard Prom Dress is rated 4.6 out of 5 by 5. Exclusive to us - Joanna Hope. 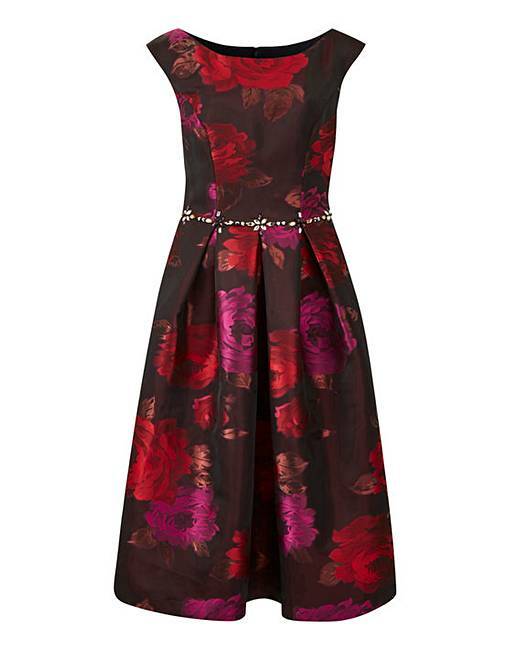 This fabulous Jacquard prom dress comes in seasonal berry colours. With jewel trim to the waist this elegant dress has pocket detail. With back zip fastening and stretch lining for your comfort and fit. Rated 4 out of 5 by Dress from Great Features I am buying this dress for a Friend's Wedding, I like to colour combinations. Rated 5 out of 5 by HRHRED from Great Buy A very beautiful dress. The material feels soo lovely. Makes you feel like a princess. Would recommend.